Sony have been trying their best over the past months since buying the Ericsson half of the company to release smartphones that are capable of competing with the ‘big boys’ as it were. Their issue with that idea though has been timing, what I mean by this is the fact that last year their flagship device was the Xperia T, which they released a long time after HTC’s One X and even the Samsung Galaxy S3 and we all know how good they both were and still are! So Sony have some ground to make up you could say, well their latest and greatest device is what I have here, the Xperia Z and it is an absolute beast! Both aesthetically and on the hardware side too so maybe 2013 will be the year that Sony can absolutely compete with their considerable competition? 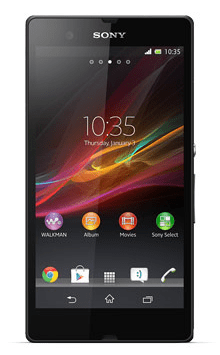 To find out all of the answers that you seek please do read on, but not before watching the Sony Xperia Z unboxing video from Matt, unless you already have of course!